It came without warning or pity. Suddenly, yesterday, it was summer. But something, it seemed, was missing. 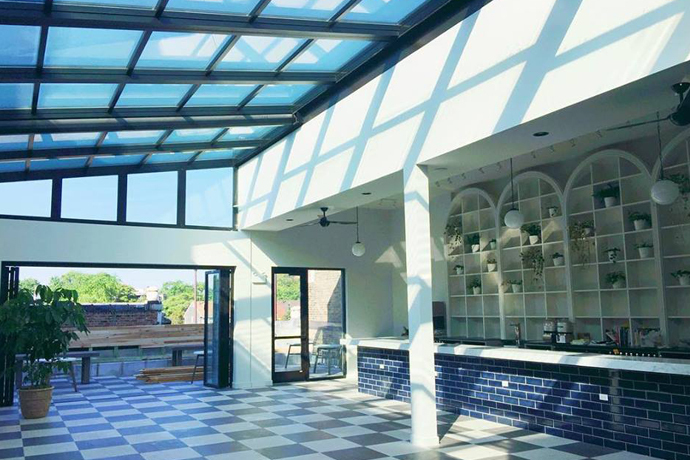 We just found it: welcome back to an entirely refreshed NoMI, opening Friday, officially launching rooftop cocktail and caviar season. You have a pretty good handle on this place. You’ve spent some good times here. Cocktails with clients. Sushi dinners. Romance. (Anything to close the deal). That won’t change. So now the dining room’s 100% white-tablecloth-free. It’s lighter and brighter, and the enviable view of Michigan Avenue is now accompanied by an enviable view of a kitchen turning out the basics: oysters, Maine lobster, porterhouse steaks, sushi. But while it’s warm, you’ll want to be outside. The rooftop garden’s right where they left it, but now the bar’s much longer. Which means you’ll hunker down with a client over Cuff Links (vodka, raspberries and lime) after work. And your afternoon dates will be spent under a canvas umbrella, drinking bubbly and feasting on Ibérico ham and spicy tuna rolls. If a thunderstorm rolls in, immediately seek shelter... in the dark wine cellar next to the cheese cave. It’s suitable for winter hibernation as well.